I am using the responsive slider shortcode on one of my websites and placed it in my sidebar. Unfortunately, the styles are a bit messed up and the slider doesn't display correctly. I fixed most of it, but I still have one problem, that I can't seem to fix. Every next image in the slider appears a bit lower than the one before. Can you please help me fix this problem? 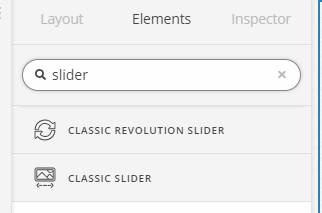 I replaced your slider with that code and it's now fixed (see secure note). To avoid having to manually do this, I'd recommend you create a new Global Block and in it, use the Classic Slider element. You can then insert the global block's shortcode to the Text widget. Creating global blocks is a good idea! Thank you! You're welcome. Glad we could help.